Hatchie is what happens when ’90s shoegaze and The Cranberries slowly collide. The result for this Brisbane-based pop musician is a lush palate of bright and sweet colors that help soothe your wounds through a tough love life. “Try” is a perfect song to listen to in a room lit only by a disco ball light. The track’s chilly strings and hopeful lyrics become the simple pick-me-up from the painful fall. 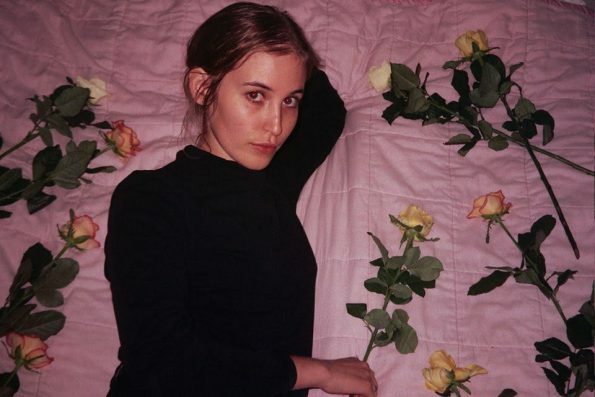 Hatchie expresses this shoegaze energy by making it overflow into a wavy pool its listeners float in, preparing choruses with a brimming sparkle of instrumentation (“Sure”). Their lyrics show doubt, but it is a kind that never arrests the feeling of childlike innocence. Here’s hoping that Hatchie’s new material keeps us floating happily in our proverbial oceans.